I’ve been sitting on this review for several days, trying to let the experience of rereading The Half-Blood Prince settle in my mind so I could look at it from a larger angle. The plot of the story is crucial; it shows how the war could so easily fall to the side of Voldemort, and sets up the game plan for defeating him. But it isn’t the only crucial aspect of the narrative, this is also a story of being on the cusp of adulthood, and finding the balance between our childhood selves and who we’ll be. Finally, it is perhaps Rowling’s most definitive work on love as an action. 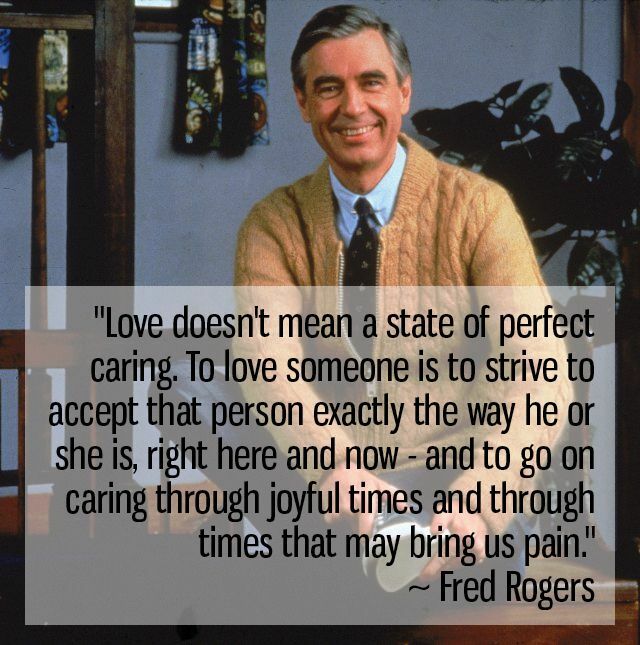 I have been thinking about this Mister Rogers quote in relation to Dumbledore. I think the men share a certain sameness that is incredibly important to the world of Harry Potter. Harry’s strength (and the combined strength of the Trio and Dumbledore’s Army) is love. It is one of the many large concepts swimming around in Half-Blood Prince. Loyalty, obligation, and choice are also star players here as well as grief and betrayal, but we’ll get there. The book opens with the concept that magic doesn’t make a more evolved society. It doesn’t prevent the world’s problems, and it in fact introduces a whole new set of them. We are gently instructed of this as the Minister of Magic meets with the Prime Minister and Snape meets with Narcissa Malfoy and Bellatrix Lestrange. Half-Blood Prince is the culmination of the HP books before it, even more so than The Deathly Hallows. It’s a different kind of adventure: one of the intellects. The series’ strength lies in its emotional payoffs. Harry embraces being the chosen one and begins planning for his seemingly inevitable future. The cornerstone of this book is Dumbledore fulfilling his word to Harry from Order of the Phoenix – he will teach him what he can to prepare him to fulfill his role in the war with Voldemort. Dumbledore trains Harry, in a sort of apprenticeship, and prepares him to find the Horcruxes by laying out Voldemort’s obsession with his own history and that of the founders of Hogwarts, his first true home (another in a long line of similarities between Harry and Voldemort). But first we must get the Chosen One to school. Dumbledore does a quick infodump for Harry and the readers, informing him that has inherited 12 Grimmauld Place, as well as Kreacher, from Sirius. But Dumbledore is not done table setting, the pair next set out to meet Horace Slughorn, the former head of Slytherin house, who Dumbledore plans to recruit to return to Hogwarts with Harry’s help (because Slughorn collects exceptional students like trophies, including Harry’s mother). With that accomplished they are off to the Burrow and the newly engaged Bill and Fleur. Why recap all of this? Because each piece laid out is important for this book and the next. We are learning who our big players will be from the beginning, and as Rowling continues to expertly craft her books, there is no fat here, and Half-Blood Prince is particularly crisp. With Slughorn’ taking over the Potions classes Harry can continue to the N.E.W.T. level, and Snape moves into the cursed Defense Against the Dark Arts position (cursed, we find out much later, by Voldemort himself when he was denied it by Dumbledore). The last minute addition to the course means Harry didn’t pick up his required text during their trip to Diagon Alley (hi Weasley Twins! Glad business is booming and you are dabbling in love potions, which surely won’t be a harm to anyone later! Ron should just go ahead and sit at this place at the table) so he picks up a used book from the cupboard, and we and he are introduced to the titular Half-Blood Prince, who wrote all over his textbook making notes and improvements along the way. Harry uses this new source of information to best Hermione in an academic subject for the first time since perhaps the Lupin year of Defense Against the Dark Arts, and earn himself a very important vial of Felix Felicis. One more setting on the dining table is ready. As I alluded to above, the main thrust of the book is Harry’s lessons with Dumbledore, where Dumbledore shares memories he has collected over the years via the pensieve. But, he is missing a crucial piece of memory – Slughorn had a conversation with Voldemort that he has changed the memory of and it is the final piece to solving the puzzle. It is up to Harry to retrieve this memory. But Harry’s focus is split. He continues his obsession with Malfoy, and what he was arranging in Borkin and Burke’s shop. Harry chases his tail a bit here and his dogged focus on Draco (who isn’t hiding his nefarious designs all that well) and Snape (who is also not hiding well that he is helping Draco in some manner, thanks we know to the Unbreakable Vow) but because Harry has cried wolf before about these two everyone is a bit dismissive. Add in to all of this Quidditch, Katie Bell’s run-in with a cursed necklace, Ron’s poisoning and being saved by a bezoar (just shove a bezoar down their throats – another lesson from the Half-blood Prince, twice), Ron and Lavender, Hermione’s reactions to all of it, and Harry’s growing affection for Ginny and no wonder our boy finds himself failing to get the memory. Following another trip to the hospital wing (where some of my favorite scenes in the entire series occur), Harry decides to use his elf connections to investigate Malfoy. Kreacher and Dobby, two characters greatly cut from the movie adaptations to their detriment, are assigned the task. We witness Harry’s growth and he thinks of all the restrictions he needs to put on Kreacher to keep his secret mission of spying actually secret. As we jump ahead Ron, Hermione, and Harry discuss how to get the memory from Slughorn. Finally, Ron (yes, my boy Ron) suggests that Harry use the Felix Felicis that he won in Slughorn’s class on their first day (which he had not used to help Ron succeed at Quidditch earlier in the book, that bit of rule breaking goes to our girl Hermione who confounds the unctous McClaggen). Harry is reluctant, Hermione pushes, and he agrees she’s right. MORAL OF THE STORY ALWAYS LISTEN TO HERMIONE (and Ron). I had actually forgotten how great the chapters surrounding Harry’s retrieval of Slughorn’s memory were. The Rube Goldbergian series of events following Harry’s taking of the Felix Felicis are exquisitely delivered (very close with the time turner save in Prisoner of Azkaban) and, though the movie adaptation got so much wrong (it really, really did), it perfectly translated Rowling’s description of Harry “high” on Felix. With “Felix” in charge, Harry is ultimately successful. Slughorn’s memory proves to be the final piece in the puzzle: specifically what a horcrux is and the quantity of them Voldemort made. Dumbledore explains to Harry that they have already destroyed two: Riddle’s diary and Marvolo’s ring. But those weren’t his only horcruxes. Dumbledore guesses, based on Slughorn’s memory that Voldemort meant to split his soul seven ways. As one piece of his soul still resides in his body, Dumbledore deduces the others based on memories they have seen, and the last will be something belonging to either Gryffindor or Ravenclaw, but he is unsure what exactly. With this information Harry is properly ready to go on the hunt, not the lost and underprepared version we get in the movies. The novel could have finished at this point in the narrative, but Rowling is not telling that sort of simplistic story. Instead we yet have lessons to learn and losses to suffer. As anyone facing such a task, Harry has concerns. Dumbledore is able to reassure a skeptical Harry that he is equal to the task of destroying Voldemort, chiefly because of his ability to love, which brings us back to my initial argument – being capable of Love as an action, not a state of being is, the engine that drives the heroes in this series. Harry’s soul is still pure and whole, making him capable of the love that drives heroes (look for the helpers). Because Harry lives and fights with a sense of honor and righteousness at his very core, he is in possession of all that he will need to do this, once he decides to do it. Dumbledore stresses that prophecy be damned, Harry has a choice in whether he fights or not. He explains that even without this prophecy, even if Voldemort hadn’t killed his parents, Harry would still want to defeat Voldemort simply because he hates everything Voldemort stands for. It’s this choice, Harry realizes, that will make the rest of his journey a bit easier. It’s such a small thing, realizing that we have the choice to stand and fight for what is right, or to turn and run and live to fight another day. Harry knows at the core of his being that he would never run, something we already know of him and our other heroes – it is something we learned long ago, and something we will learn again. Besides the hunt for the horcrux, we also reach the climax of Malfoy’s arc. He repaired a vanishing cabinet, the same one we saw Fred and George shove Graham Montague in during The Order of the Phoenix which caused it to be moved to the room of requirement (Rowling wastes nothing) creating a passage between the cabinet and its match in Borkin and Burke. Malfoy deploys the Dark Mark to lure the returning, and unbeknownst to him weakened, Dumbledore to the tower where he planned to kill him. But Draco gets caught up talking to Dumbledore, revealing more than he means to (in concert with the crying Malfoy we see and hear about earlier in the story) and we see his conflicted emotions about following through with an order he cannot see a way out of. It is important that Harry doesn’t believe Malfoy would have followed through with killing Dumbledore, he remembers and values the fact that when it came down to it, Malfoy had lowered his wand, and Snape was the one who killed an unarmed Dumbledore. We as the reader know that there was an unbreakable vow in place, but I don’t imagine that would have swayed Harry’s feelings about Snape’s actions. Here is where Rowling communicates with her readers about betrayal and grief. We have grieved losses in the past two books, with the deaths of Cedric Diggory and Sirius Black, but the murder of Dumbledore is so much larger, so much more impactful to the endgame of the narrative. Everyone blames themselves: McGonagall, who blames herself for fetching Snape when she heard the Death Eaters had gotten into Hogwarts. Ron, Neville, and Ginny who had been standing guard outside the Room of Requirement. Hermione and Luna had been outside Snape’s office when Flitwick ran to tell Snape the news. It is in this that Snape’s betrayal rings most poignantly, that no one thought they couldn’t trust him, and the anger wells up in the reader. How could he possibly come back from this? Do we want him to? The other side of the coin of Dumbledore’s death is the great grief it brings. Death is natural and inevitable. It’s what we lose that’s sad: it is the knowledge that you’ll never create new experiences with the person who is gone, that your relationship will now be entirely one-sided. In the world of Harry Potter everyone must come to terms with the fact that their greatest source or support, their own talisman in human form, is no longer with them. It is one more enormous loss for Harry, who has now lost both of his parents, his godfather, and his mentor. 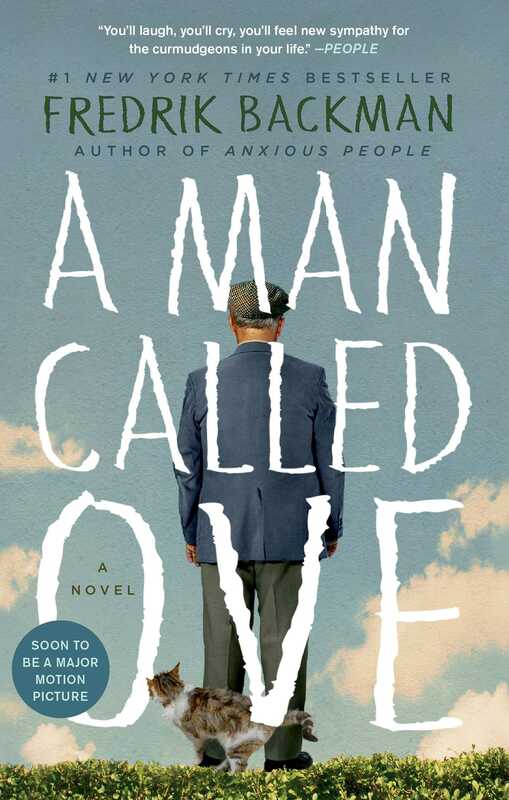 While I feel this novel is a treatise on love as an engine for acting in a heroic manner, it does not preclude the fact that this is a book about a bunch of young adults. Romantic love shows up in a big way. Ron and Lavender, Bill and Fleur, Ron and Hermione, Harry and Ginny, Lupin (who is definitely a grownup) and Tonks. Your heart breaks when reluctant-to-be-loved Lupin says that Tonks deserves someone whole (something that must affect Harry’s decision to walk away from Ginny) and that now is not the time to be discussing this anyway, with Dumbledore dead. McGonagall disagrees, and delivers the line that started my tear-flow this time around. The book wraps up with Hermione’s news about the Half-Blood Prince. As is always the case, Hermione had been right all along – Eileen Prince was Snape’s mother, and he was proud of being half a Prince, the pure-blood side of this family. Harry still doesn’t understand why Dumbledore trusted him. Our final event is Dumbledore’s funeral. Having attended more funerals than I care to think about, I thought Rowling handled the truth of the formality well. You go to have gone, but there is little comfort found in the ceremony. Harry tells Ron and Hermione that even if they reopen Hogwarts, he won’t be coming back. Informing them that there are at least four more horcruxes, and that he has to destroy them if he has any hope of killing Voldemort. Ron says they’re coming with him, obviously, and Hermione agrees. Harry is shocked – and I don’t know if it’s because he was so wrapped up in his grief and anger, or how easily Ginny accepted that he could not stay in their relationship as it would put her in untold danger (which, still rubs me the wrong way more than a decade later if I’m honest. She’s in just as much danger by being a Weasley) or simply because he really did underestimate the depths of Ron and Hermione’s loyalty. I think he probably knew that if he asked them, they’d help him, but he didn’t think they would volunteer for this. Dumbledore knew the truth of these three when he instructed Harry to confide in them, and only them, at the beginning of their lessons together. Harry has to go back to the Dursleys one last time, because it is where he will be safest until his birthday, but then he’s off. Ron points out that he also has to go to the Burrow for Bill and Fleur’s wedding. Harry had almost forgotten, but the thought of it calms him, and us. We’ll see how long that last golden day lasts soon enough. 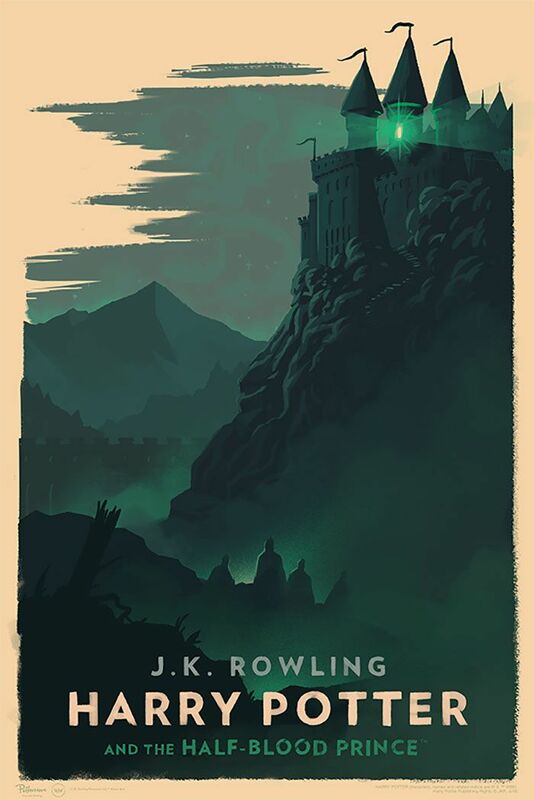 As part of my series reread in the 20th anniversary year of the publication of The Sorcerer’s Stone, this review is preceded by The Order of the Phoenix and followed by The Deathly Hallows in October. This week in the Romance readers back channel one of the many tropes that drives us nuts came up: “this whole manufactured conflict of a couple hundred pages could have been solved by a SINGLE DAMN CONVERSATION.” (h/t kdm). In some ways, that describes the entirety of My Dearest Enemy by Connie Brockway. At the very core of Romance novels, there is often a single fundamental understanding, and in this one it’s the placing of the two main characters as antagonists to each other by an outside, dead, force. The book is based around the relationship between Lillian Bede and Avery Thorne. 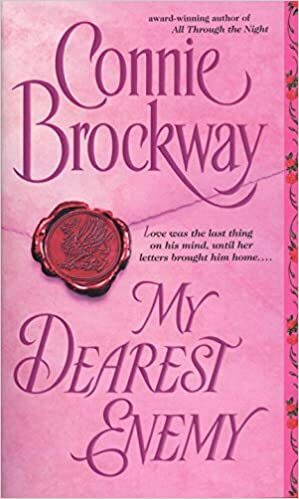 Lillian is shocked to discover that someone she is barely acquainted with has tapped her to run the affairs of an exquisite country manor following his death. But, there is a catch, she must run the estate for five years and show a profit in order to keep it in perpetuity. She accepts the challenge, taking the opportunity to put her politics into practice. There’s only one snag: Lily’s inheritance comes with an adult ward, the infuriating, incorrigible globetrotter Avery Thorne who was expecting to inherit from his uncle. “My Dear Miss Bede, Forgive me if I fail to shudder. Pray, do whatever you bloody well want, can, or must.” Avery discovers his inheritance is on hiatus—and his childhood home is in the hands of some overbearing usurper. He handles it in the only gentlemanly manner he can come up with, he leaves with friends on a series of expeditions around the globe. After nearly five years he finally returns, and Avery finds that his antagonist is not all what he expected. In fact, Lily Bede is stunning, exotic, provocative—and impossible to resist. We the reader discover that in truth, this world-weary adventurer comes home in large part by the pull of the relationship that they have developed over years of battle-heavy correspondence. There was a time I thought I didn’t enjoy epistolary novels, or their tropes. I was wrong. But back to my original thought, the entire conflict between Avery and Lillian is about the inheritance of Mill House. But as they spend time together the relationship they developed on paper becomes real, and for the back half of the novel we are waiting for the truth of that to be made clear. The characters circle it, fight over it, and walk away from each other over it. And after one final tearful conversation it is put to rights. This should all be terribly frustrating, but in the larger context of the slow burn that Brockway crafted, it somehow works charmingly. Many thanks to emmalita for pointing me in this book’s direction. 3.5 stars rounded up. This book was read and reviewed as part of the charitable Cannonball Read. We read what we want, review it how we want (with a few guidelines), and raise money for the American Cancer Society in the name of a fallen friend. I have been in a bit of a cooking slump. I am tired of my food and desperately missing having a roommate to share that responsibility with or even just tell me what she wants to eat on days I have no inspiration. In addition, leftovers hang around a lot longer, as a recipe that serves four will now last me four days as opposed to two or three. When I saw a review of Chrissy Teigen’s Cravings, billed as “food you’ll actually want to eat” I thought, okay let’s see what this is about. My Chrissy Teigen exposure is probably average. I’ve seen her Twitter, I know she’s a model who has been featured on a few television series and have watched many Lip Sync Battle episodes and know she is married to John Legend. I was entirely won over by her when I read her op-ed from March 2017 in Glamour about her experience with postpartum depression where she backed up being open, honest, raw, and real. She is the same in her cookbook. Yes, you read that right – Teigen is open, honest, raw, and real in a cookbook. Each recipe has an introduction where Teigen elucidates why she created the recipe, or what it means to her, or how she deploys it in her life. She owns who she is and how she eats and is not trying to oversell her personality, or persona. Instead, she offers a small glimpse into her real life and hopes that portions of it that are food based might help enrich and enliven yours. She is also someone who actually cooks, and she is always paying attention to what someone less experienced in the kitchen is going to need to know. The introduction of the book is full of quick and handy hints and tips to prepare you for success with this book. I had this book out from the library as long as they would let me (and honestly a few extra days) and wanted to wait to review it until I had actually managed to cook something from it. My first go was Lemony Arugula Spaghetti Cacio e Pepe. I was severely limited by my grocery options and my time, as well as my energy, and this dish was delicious. So much so in fact that I am seriously considering just buying the book for myself because there were far too many recipes to photocopy – I might as well get the bound version. We are entering the period of time where the cultural upheaval that Hillary Clinton losing the White House will have on our literary intake. Out early is Anne Helen Petersen formerly of The Hairpin and currently of Buzzfeed, who is known for her incisive long reads on culture, celebrity, and feminism. This book literally grows out of her election night response article “This is How Much America Hates Women” where she began grappling with what last year’s election reaffirmed about American society. 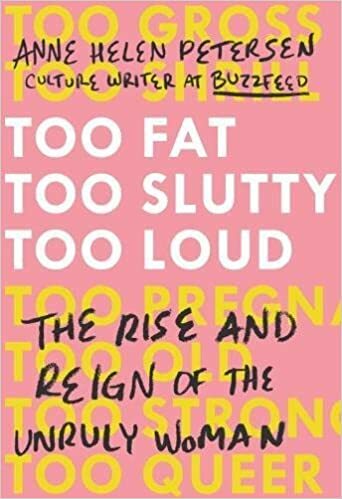 Too Fat, Too Slutty, Too Loud is the spiritual successor to Trainwreck by Sady Doyle which I reviewed earlier this year. Doyle’s writing works to make you angry at how we treat women, and how we always have. But the tone of the book isn’t “look at all these terrible things that others have done to women” it is instead, “look at how our societies have been built to bring down women”. It is this distinction, which changes that book from what could have been an angry rant into a well-paced, well-spoken examining of culture. Petersen’s does nearly the same thing, even highlighting the historical relevancy of the type of women she is setting out to discuss and how actions like there’s can be found any time in history that women are pushing against what constitutes “feminine behavior”. Too Fat, Too Slutty, Too Loud focuses itself on current examples through the frame of unruliness. Unruly women are the type who question, interrogate, and challenge the staus quo. Petersen highlights ten women from various arenas of public life, and investigates their own personal unruliness. Ranging from Abbi Jacobson and Ilana Glazer (Too Gross), to Madonna (Too Old), and Kim Kardashian (Too Pregnant) Petersen’s trademark incisive cultural commentary is on display from page one. My only true drawback, which is why I have rated this four stars, is that in some ways we don’t have the necessary distance to truly examine some of the phenomena that Petersen is discussing, and at times this book feels rushed – as though the editing process was sacrificed to get it on the shelves so quickly. This book is read and reviewed as part of the charitable Cannonball Read where we read what we want, review it however we want (with a few guidelines), and raise money for the American Cancer Society.